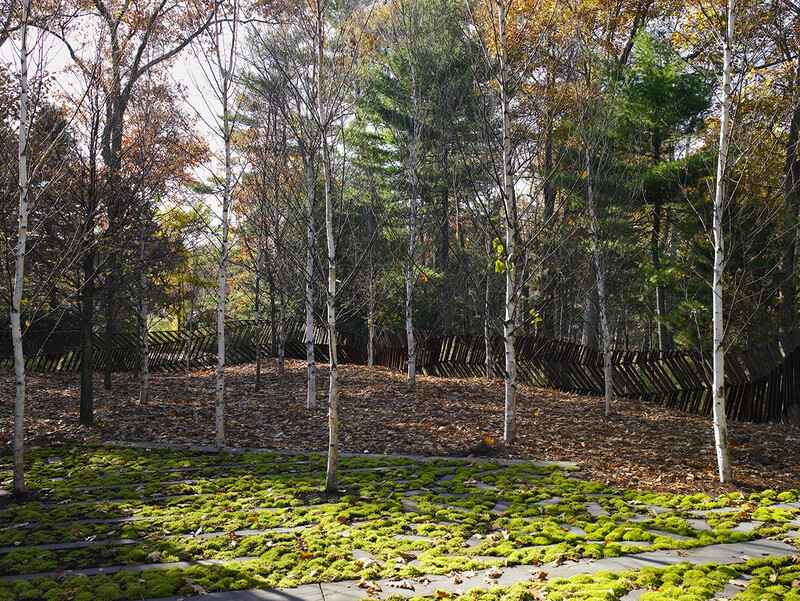 This garden is situated within a three-acre native hardwood forest overlooking Farrar Pond, one of the many ponds linked to Walden Pond, the location of Thoreau’s historic home. 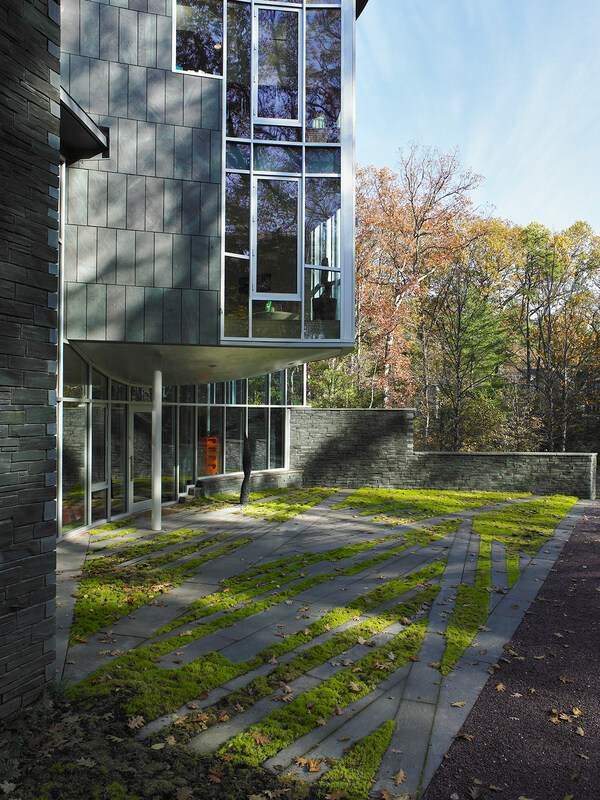 The design intent was to harmonize contemporary materials and design elements with this native plant palate and kettle/kame geology. 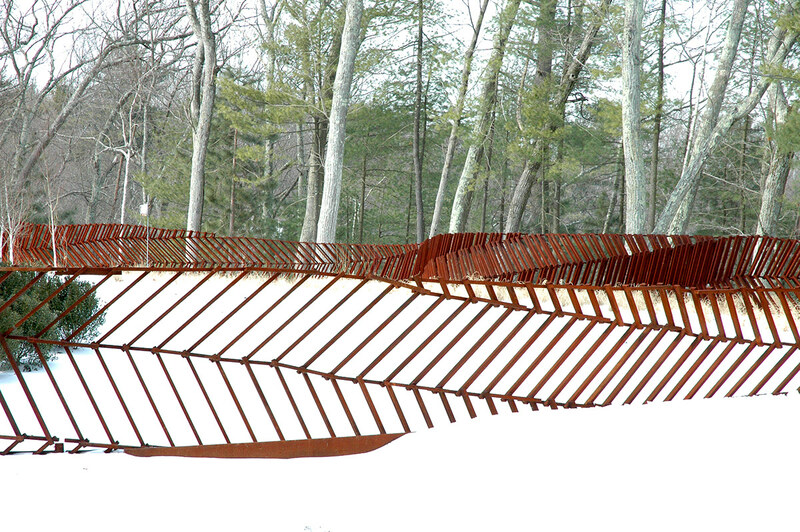 A rich tapestry of native plants that transform over the seasons weaves seamlessly with the existing forest. 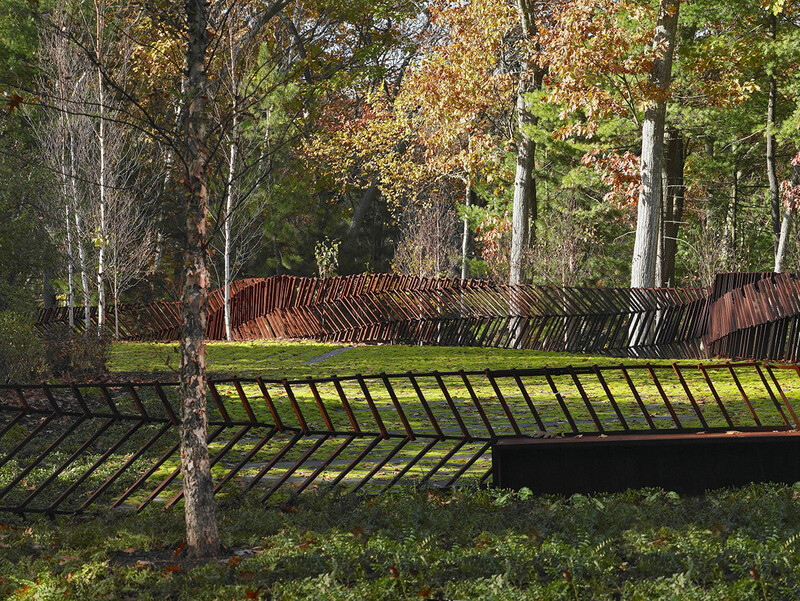 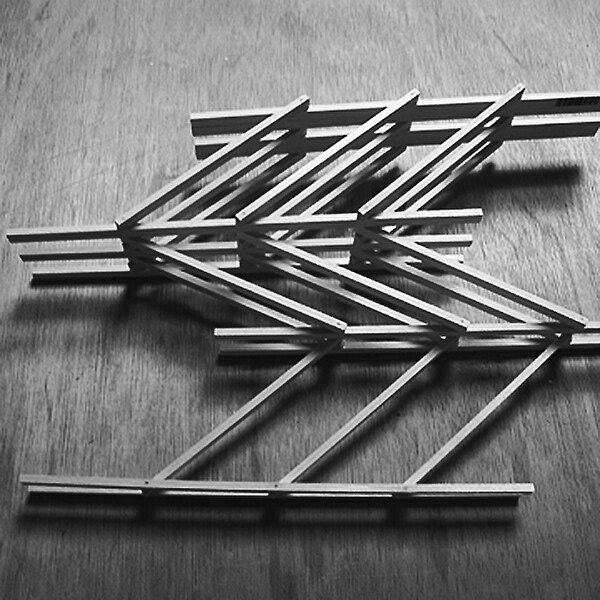 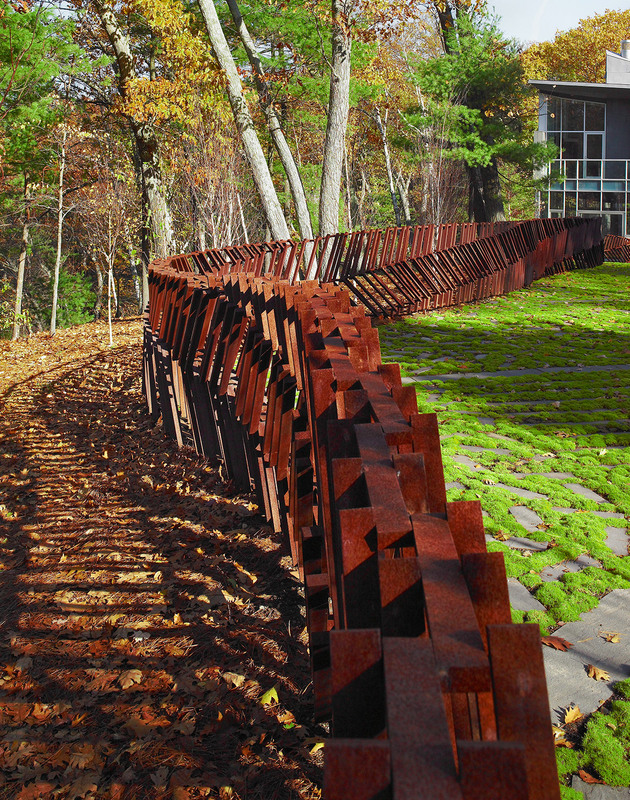 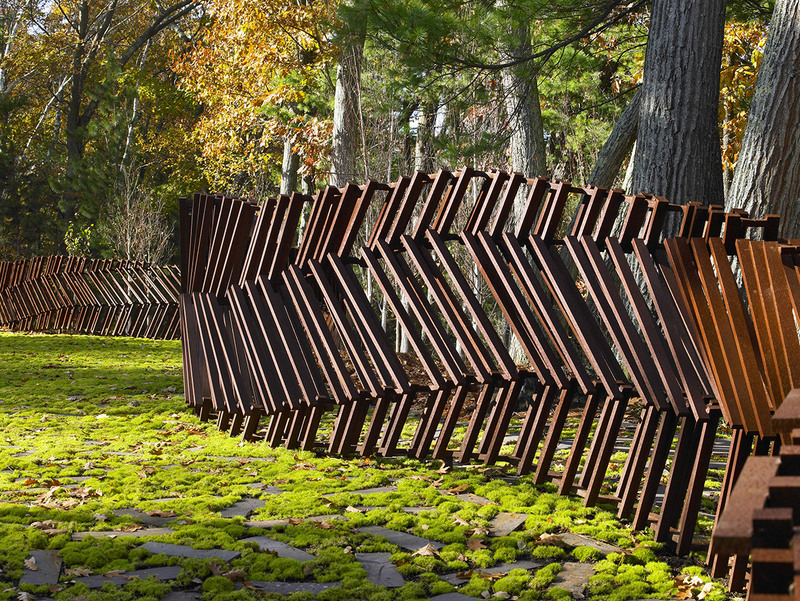 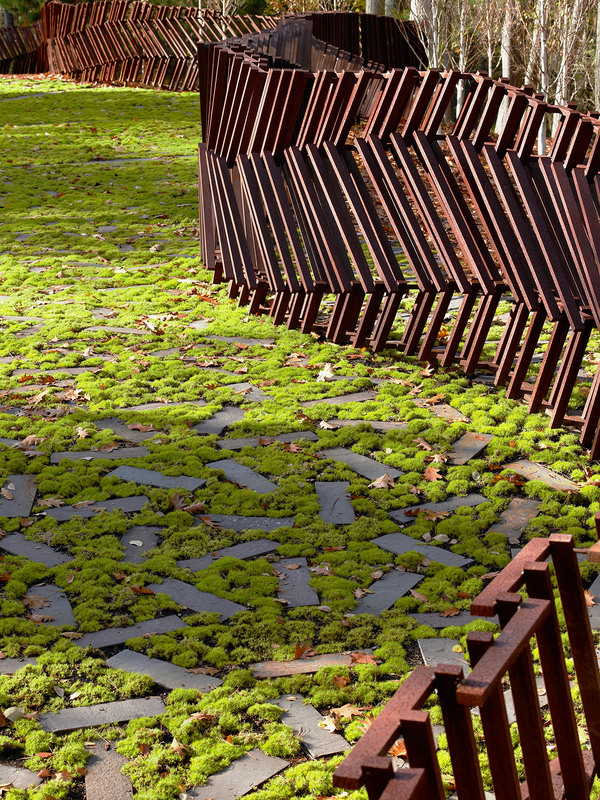 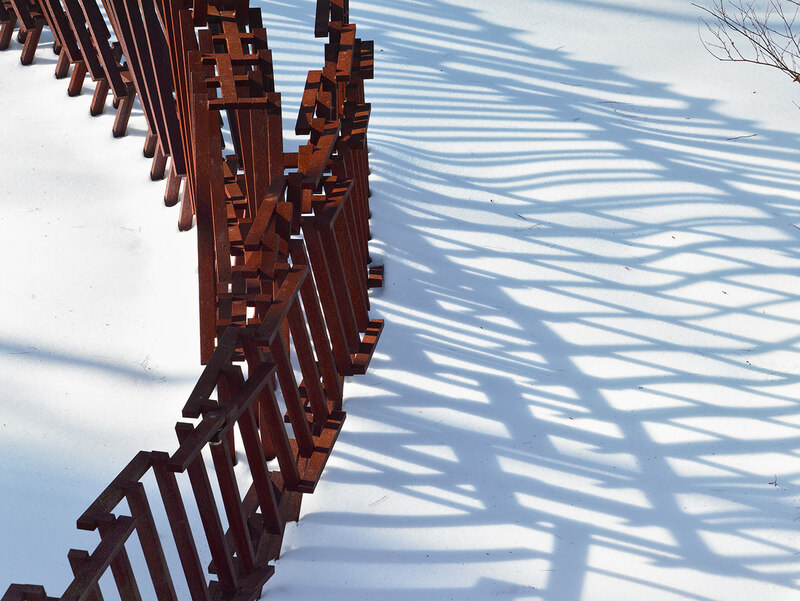 The sculptural fence flows through openings in the forest and over various ground plane materials, both defining and blurring boundaries. 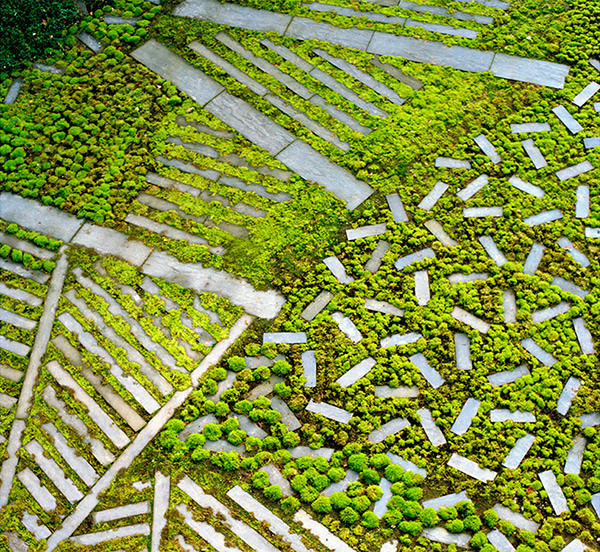 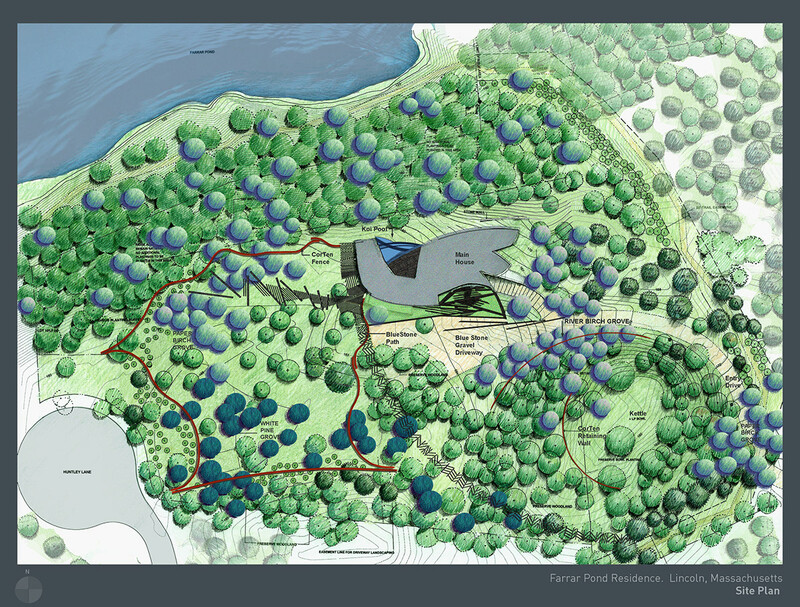 The landscape design reflects the client’s deep respect for land stewardship while asserting a contemporary design language that also responds to their interest in art and sculpture.